The 2nd Annual summit on Tuberculosis and Lung disease will be held in Atlanta, USA during July 16-17, 2018. It will bring together world-class pulmonologist, scientists and professors to discuss strategies for disease remediation for TB & lung diseases in this conference. Annual summit on Tuberculosis is designed to provide a diverse and current education that will keep medical professionals up to date on issues affecting the diagnosis, treatment of respiratory disorders and prevention. The conference theme "A new way to battle with Tuberculosis and Lung disease" that focuses to share novel approaches related to the field and exploring the challenges concerning excellence in TB research and advancements. 2nd Annual summit on Tuberculosis and Lung disease is an extraordinary event designed for TB experts and international medical health professionals to facilitate the dissemination and application of research findings related to TB and all the associated research areas. The conference invites participants from universities, clinical research institutions and diagnostic companies to share their research experiences on all aspects of this rapidly expanding field and thereby, providing a showcase of the latest techniques. Our aims to provide tuberculosis physicians, specialists, nurses, technologists and anyone professionally involved in respiratory disease with an opportunity to learn about the complexity of the disease, discuss interventional procedures, look at new and advanced TB practices and their efficiency and efficacy in the treatment of various cases, and understand local realities and practical constraints in improving patient-care. 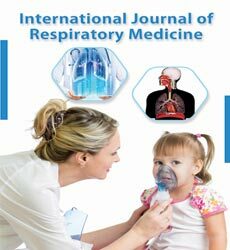 With people across the globe focused on finding a few solutions concerning TB and lung diseases, this is the best platform to meet the eminent personalities of respiratory care. This scientific stage will allow the researcher to showcase their research work through presentations and have a chance to gain knowledge about the current situation of lung disease treatment and receive name recognition at this 2-day event. The great achievement in lowering tuberculosis rates during the last decades of the 20th century are secondary to the extraordinary advances made in the understanding of basic respiratory science and in the enlargement of new diagnostic and therapeutic techniques. The most important cardiologic developments and discoveries of the last century are Multidrug-resistant TB (MDR-TB); first-line and second-line anti-TB drugs; DOTS (directly observed treatment-short course) therapy and Short course chemotherapy (SCC); “Stop TB” strategy; RNTCP (revised national TB control program). The development and widespread implementation of vaccination against TB ranks one amongst man’s greatest achievements. Allied Academic Publication is an amalgamation of several esteemed academic and scientific associations known for promoting scientific temperament. Established in the year 1997, Andrew John Publishing Group is a specialized Medical publisher that operates in collaboration with the association and societies. This publishing house has been built on the base of esteemed academic and research institutions including The College of Audiologists and Speech Language Pathologists of Ontario(CASLPO), The Association of Public Safety Communications Officials of Canada (APCO), The Canadian Vascular Access Association (CVAA), The Canadian Society of Internal Medicine (CSIM), The Canadian Hard of Hearing Association (CHHA), Sonography Canada, Canadian Association of Pathologists (CAP-ACP) and The Canadian Association of Neurophysiologic Monitoring (CANM). On behalf of Allied academics we are glad to invite you to 2nd Annual summit on Tuberculosis and Lung disease held at Atlanta, USA during 16-17 July 2018. Our conference proceeds with theme “A new way to battle with Tuberculosis and Lung disease”. The conference deals with re-emerging of TB and Lung diseases & explore new ideas/concepts on a global scale to reduce the airborne disease and the topics include complications, treatment and therapies for lung infections and tuberculosis, Present scenario and risk factor of infection, Clinical trials in respiratory diseases, TB Education and Research. 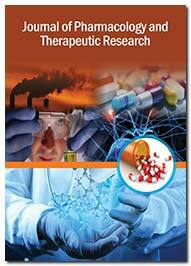 It provides a platform for refreshing your knowledge and forecast future developments in clinical research. This conference will offer you plenty of opportunities to meet world’s leading scientists and researchers. Annual summit on Tuberculosis and Lung disease is best source for business network expansion; we also invite worldwide pharmacy, life science and research laboratory industries as sponsors and exhibitors. We are excited to meet you in Atlanta at our conference meet & we hope you will join us at our scientific meet to expand your knowledge and move forward in your research. Tuberculosis is a chronic inflammatory infectious disease caused by the bacteria, Mycobacterium tuberculosis. Tuberculosis generally affects the lungs, but can even affect other parts of the body. Most infections are asymptomatic, known as latent tuberculosis. About 10% of latent infections progress to active disease, if left untreated, mostly kills about half of those infected. Symptoms of active TB are chronic cough with blood-containing sputum, night sweats, one weight loss and fever. Infection of other organs can cause a wide range of symptoms including bones and joint pains, chest pain, neurological disorders and chronic pulmonary or respiratory distress etc. Tuberculosis epidemiology is the field of science that is concerned with the study of health and disease within populations and the various factors that lead to these conditions, with a goal of preventing the spread of disease. One-third of the world's population has been infected with M. tuberculosis. 13.7 million Chronic active cases, were reported by 2007 and 8.8 million new cases were estimated in 2010 and 1.45 million deaths, are often noted in developing countries. Out of these, 0.35 million deaths occur in those co-infected with HIV. In 2012, around 450,000 people developed MDR-TB. TB incidence varies with age. In Africa, TB chiefly affects adolescents and young adults. However, in United States, TB has gone from high to low incidence, where TB is mainly a disease of older people, or of the immunosuppressed. Since 1985, Lung cancer has been the most common cancer in the globe. Worldwide, lung cancer, new cancer diagnosis (134 thousand people and 12.4% of new cancer patients) and cancer fatalities (1,180,000 deaths, 17.6% total cancer deaths). COPD is the fourth leading cause of death in the United States and is related to age. Lung cancer increases with age, especially after age 60. The average age of patients diagnosed with lung cancer is 70 years. In 1998, the genome of the H37Rv strain was published. The size of the genome is 4 million base pairs, and has 3959 genes, out of these 40% of genes have their function characterised and another 44% are postulated with possible functions. Six pseudo genes are present within the genome. Genome contains 250 genes involved in fatty acid metabolism, with 39 of these involved in the polypeptide metabolism generating the waxy coat. Such vast numbers of conserved genes show the revolutionary importance of the waxy coating to pathogen survival. M. tuberculosis can grow on the lipid cholesterol as a sole source of carbon, as genes involved in the cholesterol use pathways that have been important during various stages of the infection with tuberculosis. 10% of the coding genes are taken up by the amino acids that encode acidic, glycine-rich proteins. These proteins have a conserved N-terminal motif, deletion of which leads to impaired growth in granulomas and macrophages. Advanced diagnostic techniques such as X-ray and echocardiography is used to diagnose lung diseases and lung function tests (PFT) is another test to determine lung cancer disease. This is a medical process involving the pleural cavity and other thoracic internal examination, biopsy and resection of the disease or mass. Thoracoscopy may be sedation under general anesthesia or local anesthesia. Surgical biopsy is a better way to diagnose lung cancer standards. Must wear appropriate masks & monitor exposure and in some working environments it is important to take precautions. Chronic obstructive pulmonary disease is a gradual process that causes difficulties in the death of respiratory failure or its associated lung disease (including respiratory arterial disease, lung cancer, stroke and smoking cessation) and is the process of stopping smoking. Tobacco contains nicotine, which is addictive; in the process of smoking cessation, can be controlled by vaccination and prophylaxis. A Lung infection affects lungs, either in the larger airways (bronchitis) or in the smaller air sacs (pneumonia). There is a build-up of pus and fluid (mucus), and the airways become swollen, making it difficult for to breathe. Chest infections can affect people of all ages. Young children and the elderly are most at risk, as well as people who are ill and smokers. A chest infection can be serious for these people. As of 2011, the only available vaccine is Bacillus Calmette-Guérin (BCG), is a vaccine for (TB) tuberculosis disease. Many people have been BCG-vaccinated. BCG is primarily used as vaccine in many countries with a high aid for preventing TB as childhood tuberculous meningitis and miliary disease. Tuberculosis can be treated by taking several drugs for 6 to 9 months. There are 10 drugs presently approved by FDA (U.S. Food and Drug Administration) for treating TB. Out of the approved drugs, the first-line anti-TB agents that form the basis of treatment regimens include: isoniazid, pyrazinamide rifampin, ethambutol, streptomycin. Once the TB patient is known to be fully susceptible to ethambutol or streptomycin, it can be discontinued. Directly observed therapy (DOT) is mainly recommended for all the patients. With DOT treatment, patients with the above regimens can shift to 2 to 3 times per week dosage after an initial 2 weeks of daily dosing. Patients on twice-weekly dosing should not miss any doses. Require daily therapy for patients on self-administered medication. Clinical trials are concerned with diagnosis and treatment of the disease. The development of drug-resistant TB (XDR-TB) and multidrug-resistant TB (MDR-TB) are extensively a rising global health problem. A recent advance in the progress of new drugs & regimens provides hope that may be well effective, tolerated and shorter-duration treatment for tuberculosis will become available. During clinical trials they promote research within local TB control programs through association on clinical research of importance to public health settings, and to provide a platform for international collective research of consequence to both domestic and universal TB control. Rapid urine-based screening for Tuberculosis in hospitalised patients in Africa to reduce AIDS-related mortality. Thibela TB is the mass screening and treatment plan in mining communities, The ZAMSTAR trial is the community TB testing and counselling, Diabetes correlated with increased risk of TB in the United Kingdom are some of the latest clinical trials or the projects going-on to reduce the risk of Tuberculosis. Multidrug-resistant TB (MDR-TB) begins when an antibiotic fails to eradicate all the bacteria that it targets, with the surviving bacteria producing resistance to that antibiotic and usually others at the same time. Primary Multidrug resistant, MDR-TB occurs in patients who was not earlier been infected with TB but who became infected with a strain which is resistant to the treatment. Acquired multidrug resistance for TB occurs in patients during treatment with a drug regimen that is not competent of killing the particular strain of TB with which they have been infected. MDR-TB requires treatment with second-line drugs, often four or more anti-TB drugs for a minimum of 6 months and a maximum for 18–24 months, if rifampin resistance has been identified in the specific strain of TB with which the patient has been infected. Under ideal program conditions, MDR-TB cure rates can approach 70%. In general, second-line drugs are less effective, more toxic and much more expensive than first-line drugs. TB and HIV co-infection is that where people have both, either latent or active TB disease and also HIV infection. In addition to HIV infection is speeding up the progress from latent TB infection to active TB disease, in accordance TB bacteria also enhance the progression of HIV infection. Than many other opportunistic infections, TB occurs earlier in the course of HIV infection. In co-infected individuals, the risk of death is also twice that of HIV infected individuals without TB, even when antiretroviral therapy and CD4 cell count are taken into account. The provision of anti TB drug therapy and HIV antiretroviral treatment at the same time involves a number of potential difficulties including: A high pill burden, Drug – drug interactions, Cumulative drug toxicities. TB and Diabetes co-infection: Poorly controlled diabetes can lead to numerous complications, including neuropathy, vascular disease, and increased susceptibility to infection. Diabetes may also lead to increased susceptibility to the disease via multiple mechanisms that are caused by M. tuberculosis. There are even other co-infections with Tuberculosis such as malaria, Typhoid fever, Dengue, hepatitis. TB diagnosis includes microbiological studies such as sputum, alternative sampling, PCR. Immunological test involves ALS assay, transdermal patch, tuberculin skin test, mantoux skin test, heaf test, CDC classification of tuberculin reaction, BCG vaccine and tuberculin skin test, Adenosine deaminase, Nucleic acid amplification tests (NAAT), Full blood count & Interferon-? release assays. TB prevention and control efforts depend primarily on the vaccination of infants and the detection & treatment of active cases. The World Health Organization (WHO) has achieved some success with rapid diagnostics and improved treatment regimens. US Preventive Services Task Force (USPSTF) endorses screening those who are at high risk for latent tuberculosis with either mantoux tuberculin skin tests or interferon- ? release assays. Prevention of TB consists of two main parts. The first part of preventing TB is to cease the transmission of tuberculosis from one person to another. This can be done firstly, by identifying people with active TB infection, and then curing them by providing the drug treatment. With the provision of proper TB therapy someone with TB will not be infectious very quickly, and so cannot spread the disease to others. The second main part of preventing TB is to prevent people with latent TB infection from developing active infectious TB disease. Mycobacterium bovis is the main causative agent of bovine tuberculosis (BTB) that causes zoonotic tuberculosis (TB) in humans. Bovine TB is mostly acquired from domestic animals and their products, in which cattle’s are the major reservoir. The disease results in huge economic loss, particularly in urban and per-urban cross breed dairy cattle due to mortality, low productivity and carcass condemnation as well as trade restrictions of live animals, products and by products of animals. To prevent and control zoonotic TB, veterinary sectors must be cross sectored in controlling the disease in its animal reservoir, developing diagnostic tools for diagnosing M. bovis, strengthening surveillance systems and assessing economic impact. Lung cancer is currently the leading cause of cancer-related deaths in men and women in the world. Lung cancer-related trends have been mainly related to smoking over the past several decades. In 2015, the American Cancer Society handles 221,200 new cases, diagnosed as 158,040 deaths due only to lung cancer. Risk factors for lung cancer are primarily smoking and air pollution. According to the doctor's suggestion, there are no symptoms associated with the first stage of lung cancer. According to researchers' research, lung cancer mortality rate is not improved at the time of diagnosis and most lung cancer progresses to advanced stage. COPD is a disease involving airway inflammation and thickening. It also involves the destruction of oxygen-exchanged lung tissue. 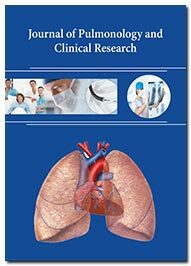 The Global Initiative for Chronic Obstructive Pulmonary Disease is described as "preventable and treatable disease, characterized by an incompletely reversible airflow limitation, which is usually progressive and is associated with an abnormal inflammatory response to harmful particles or gases. This gradual and relentless loss of lung disease is caused by emphysema caused by the destruction of the lung parenchyma. Smoking (long term smokers), chronic bronchitis, genetic factors (genes) and due to chronic inflammation and fibrosis as well as elasticity The resulting loss of small airway narrows, which leads to gradual airflow limitation, air capture, and further shortages of breathing in motion. Asthma is a chronic disease that makes lungs harder and affects the airways that carry air to and from the lung which leads to swelling or inflammation of the airway wall. This swelling or inflammation makes the airways extremely sensitive to irritations and increases your susceptibility to an allergic reaction. As inflammation causes the airways to become narrower, less air can pass through them, both to and from the lungs which makes difficult to breathe. Thus the patience suffers from symptoms like wheezing (a hissing sound while breathing), chest tightness, breathing problems, and coughing. The scope of TB & lung research involves developing molecular techniques for diagnosis of even very minute levels of the organism which ultimately contributes to the more affordable molecular tests or next-generation assays for latent/ Active TB or MDR-TB and in turn this is related to the development and safety of public health. The vision behind this world congress is to build a worldwide stage for pulmonologist, Lung care and TB specialists and analysts from widely acclaimed foundations to share and trade new clinical examinations and progressions in dealing with respiratory diseases. The scientific conferences include oral and poster presentations, seminars, and workshops from the professionals working within the field of medicine. TB incidence in the United States during 2013–2015 remained approximately 3.0 cases per 100,000 persons. After 2 decades of progress toward tuberculosis elimination with annual decreases of 0.2 cases per 100,000 persons have been reported. Initial data stated to the National Tuberculosis Surveillance System display that TB incidence among U.S.-born persons (1.2 cases per 100,000) has remained approximately 13 times the foreign-born persons incidence in the U.S (15.1 cases per 100,000). Proceeding to the progress towards TB elimination will require amassing of efforts both in the U.S and other parts of the world, including, strengthening systems to stop TB transmission in the United States and all around the universe, increasing U.S. efforts to detect and treat latent TB infection, and accelerating reductions in TB globally, particularly in the countries of origin and with highest reported cases. Health departments of Columbia (DC) verified TB cases in the 50 states and District electronically report that meet the Council of State, CDC and Territorial Epidemiological case defines to the National Tuberculosis Surveillance System. Reports involve the patient’s medical and demographic information, clinical information and social risk factors for TB, and about the TB case. CDC calculates state and overall national TB incidence by using July 1 midyear population estimates from the U.S. Census Bureau. The Current Population Survey provides the population figures for incidence according to race/ethnicity and national origin. TB case tally and incidence during 2015 as per 100,000 population and % change from 2014 were determined for 50 states and for each census division. The evolution of global TB control policies, including DOTS (directly observed therapy, short course) and the Stop TB Strategy, and assess whether the challenges and obstacles faced by the public health community worldwide in developing and implementing this strategy can aid future action towards the elimination of TB. Research in TB diagnosis and pulmonary genomics is centralized on the cellular and genetic control of TB & lung cancer. Complexities emerging due to various associated infections and disease conditions, there is a furious need for further research in the field. Be it the better medication and care or better resistance management, proper diagnostics holds the key to success. The development of drug-resistant TB (XDR-TB) and multidrug-resistant TB (MDR-TB) are extensively a rising global health problem. A recent advance in the progress of new drugs & regimens provides hope that may be well effective, tolerated, and shorter-duration treatment for tuberculosis will become available. Exploration of private-public sector in association to manage respiratory infections. Research into effectiveness of programmes and means of collaboration with HIV/AIDS programmes. Priority research in the area of TB treatment for people living with HIV. Testing and Development of new drugs, with shorter durations of treatment. An adequately resourced, well organised tuberculosis programme should be a priority in developing and developed countries. Effective and preventive therapy for drug resistance patients. Examining ways of improving concordance with treatment among doctors and patients. Further exploration of public-private sector partnerships in managing Asthma, pneumonia and tuberculosis. Develop and validate biomarkers and proxy endpoints that predict efficiency and thereby shorten clinical trial duration.